The biggest problem terrorism represents is its potential to become an ideological movement. If the attendant ideology takes root we will have an ideologically based criminal movement. The real danger is for the movement to gain momentum of its own, independent of leadership from any one individual. Crucial to the spread of a movement is popular support. The same is true of counter-extremist measures; they will succeed or fail depending upon whether or not they garner popular support. In the last 10 years, India has purchased approximately $10 billion worth of defense related technologies from the United States and our two countries are currently cooperating on initiatives to co-develop and co-produce additional defense related technologies. Additionally,India and the US have signed a ten-year agreement to conduct joint Naval, Army, and Air Force exercises. As the US is now India’s leading defense supplier, one of the things India should gather from the U.S. is a lesson in the limits of such technologies in the fight against extremism. The ongoing strategic difficulties the United States is experiencing as regards terrorism ought to be an object lesson for a country whose internal security risks are much more immediate. How to deal with terrorism is one question. How to counter terrorist recruitment is another. India should be careful not to follow the example set by the U.S. so that her response to terrorist aggression does not create more terrorists. The Pakistani terror threat that comes from several directions at once and has its roots that nations foreign policy objectives. The Chinese pressure resulting in Maoist insurgents integrating themselves in areas left vulnerable to extremism by underdevelopment or by industrial overdevelopment resulting in the displacement of India’s native populations. General popular distrust of government and police forces resulting from corruption and injudicious use of force. Multiple clashing ethnic and religious identities. Population pressures including multi-generational refugees who cannot become Indian citizens and contribute to the economy. The complexity of the security challenges India faces requires a grand strategy to address extremism that should be implemented nationally and locally. The strategy ought to be multi-faceted and one facet must not undermine the other’s objectives. Additionally, India needs to develop an ideological counter-argument to extremist propaganda that coordinates and compliments economic, social, and developmental measures that should be demonstrated on the ground and communicated nationally and internationally. The traditional response to the results of extremist ideology has been use of force and that response is counter-productive (much like the U.S. reaction to the threats posed by ISIS). Provoking government/military overreaction is a very effective extremist strategy as it provides evidence for the extremist narrative that the state mis-use of power can only be leveled or equaled by the use of counter power. And in an asymmetric battle, terrorism is the tactic of choice. …urban populations are less vulnerable to extremist recruitment and less sympathetic to its ideology. The reason extremist propaganda works so effectively in India is that it has its basis in the truth.One can argue about what should be done about that truth, but not many argue about the truth itself: that systemic corruption is rampant in the worlds largest democracy. The foundation of extremist narratives in India is that corrupt elites and big business lead coordinated efforts to profit by limiting or eliminating the rights of the majority. In order to change this narrative, the facts have to change. As long as extremists are perceived as being the only ones fighting for the rights of the common people, they will have the hearts and minds of the people on their side. No amount of propaganda, of strategic communications, or information operations, can counter what the common man experiences every day. What has to change is what the common man experiences every day. It is not a coincidence that urban populations are less vulnerable to extremist recruitment and less sympathetic to its ideology. Among economically depressed and underdeveloped communities, particularly those whose land rights are violated, extremists find sympathizers and potential recruits to their cause. 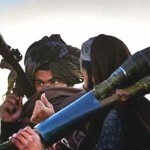 Economic reforms and development initiatives leave no vacuum for insurgents to move into. 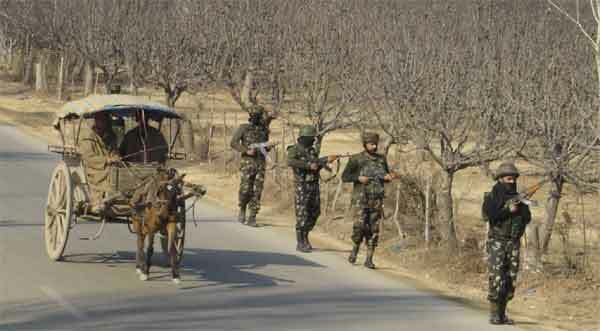 Economic reforms and development initiatives leave no vacuum for insurgents to move into. Military measures mounted against the people add legitimacy to terrorist narratives. In fact, to maintain the legitimacy of this narrative insurgents have prevented development initiatives undertaken by the government because if those initiatives were allowed to continue, they would undermine the extremist narrative about the inadequacy of the government. That fact ought to clue us in about where and when to use military force – to protect development and aid efforts from attack. Ultimately defeating terrorism will not be achieved through physical struggle. Military strength cannot win on the battleground of ideological warfare. This is a lesson the U.S. is learning: the most powerful military force in the world cannot beat the power of an idea. Not just any idea, but an idea grounded in the experience of the majority. Unconventional Warfare – Whose Baby? A superb article. The author presents an approach/understanding towards the issue of terrorism that is not often discussed in the main-stream media. She addresses the environment of the “common man” and how it becomes a resource for terrorism because the common man is often ignored, and even mistreated by those (government) whose responsibility it should be to promote the growth and vitality of citizens over whom it has jurisdiction. The greatest asset of any nation is its people, and if said country provides a society that takes care of its populace through education, jobs, health care, and the freedom to live their lives as they choose, the terrorist parasites will no longer have the resources to sustain their movement. A very interesting work by Dr. Maan! Indians should never trust USA. Those who have read The book ” Confessions of an Economic Hit Man written by John Perkins will never support.USA. USA is creating terrorist to sell their defense equipment. Who created Taliban? Their latest creation is ISIS. ISIS is created to over throw the Syrian ruler Bashar Hafez al-Assad. USA did not helped us in 1965, 1971 and Kargil war. Now USA wants India’s help to fight against China. Any day China will recapture Twain. It is a fact that without the local people’s support no country can occupy the neighboring country for a long period. In the 1971 war India captured East Pakistan ( present Bangladesh ). with the full support of local people. and later on given the power to rule the country’ to the their popular leader’s. Modi Ji solved the border problem with Bangladesh through discussions. He is trying to do the same thing with Pakistan. This Govt. is getting many new ideas from the general public and I am sure this Govt will find out a solution to terrorist problem. So we need not required any USA. help. The only request is that let them not supply latest weapons to Pakistan any more. This is an excellent, thought provoking article. Having lived in India and seeing first hand the wide-spread corruption and the disparity in education, it is easy to see that the world’s largest democracy is perhaps a democracy in name only. When the government does not represent the majority other counter-groups will emerge. And, yes, even America should learn from this.